Saturday, March 30, 2019, 7:00 p.m. Please note change of location for this event only. for our final showing of the 2018-2019 UOttawa school year. 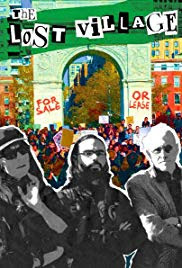 In Greenwich Village there is Debt Slavery and prostitution at NYU due to high tuition and fees for students. NYU and other Land Lords are changing the character of the Bohemian Village due to outrageous rents and passing along of real estate taxes. March 30, 2019 is the final showing of the winter 2019 semester. Look forward to our return in September 2019 for the Fall 2019 semester. Watch the webpage (cinemaacademica.ca) or join the email list to see if we plan anything interesting in between these times. Saturday, March 23, 2019, 7:00 p.m. It is a timely tale of what can happen when engaged citizens fight the power for the sake of a better world. 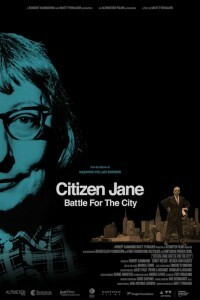 Arguably, no one did more to shape our understanding of the modern American city than Jane Jacobs, the visionary activist and writer who fought to preserve urban communities in the face of destructive development projects. Destroyed in a dramatic and highly-publicized implosion, the Pruitt-Igoe public housing complex has become a widespread symbol of failure amongst architects, politicians and policy makers. The Pruitt-Igoe Myth explores the social, economic and legislative issues that led to the decline of conventional public housing in America, and the city centers in which they resided, while tracing the personal and poignant narratives of several of the project’s residents. In the post-War years, the American city changed in ways that made it unrecognizable from a generation earlier, privileging some and leaving others in its wake. 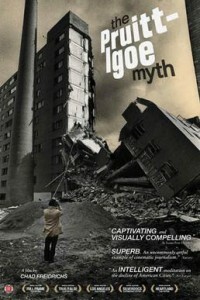 The next time the city changes, remember Pruitt-Igoe.